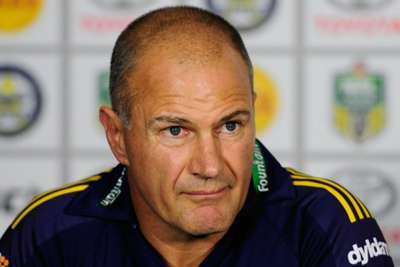 Brad Arthur will have until the middle of the NRL season to earn a new Parramatta Eels contract. Arthur is in the final year of his current deal and under pressure to mastermind an upturn in fortunes after the Eels' NRL wooden-spoon misery in 2018. Parramatta chief executive Bernie Gurr says the club will undergo a review a performance review in June, with Arthur's future among the topics to be discussed. "The board and I have been in discussions and we've discussed it with Brad," Gurr told NRL.com. "We are getting inquiries about Brad's contract situation and that is not unreasonable, so we've decided to put some time parameters around it. "We think June is a fair time for us to consider it. That gives Brad, the team and the coaching staff a reasonable time period to demonstrate improved performance from last year. "It also demonstrates our support for Brad. We all want him and the players and the coaching staff to be successful." The Eels started the new campaign with a 20-12 win over Penrith Panthers on Sunday.